Unique Craftsman now Available! RARE CRAFTSMAN STYLE Town Home in desirable, high-demand Redondo Beach neighborhood has it all! Featuring a one-of-a-kind floor-plan, this bright and airy home has FIVE BEDROOMS and FIVE BATHROOMS with upgrades throughout. BRAZILIAN CHERRY HARDWOOD FLOORS, custom cabinetry and tiles, and craftsman detailing complete this dream home. Gorgeous living room has CATHEDRAL CEILING, plantation shutters, and gas fireplace â leads out to private patio (ideal for outside dining and lounging). KITCHEN faces out to dining and living area and includes tons of storage plus two additional storage pantries off the kitchen. TOP FLOOR boasts four bedrooms including master suite, a bedroom with attached JACK & JILL bathroom, and two additional bedrooms with another full bathroom. Master bedroom gas fireplace can be enjoyed while soaking in the bathroom spa or resting in the main suite. DOWNSTAIRS has one large bedroom with full bathroom and walk-in closet â perfect for an office, guests, in-law quarters. Designed and build by well-known Manhattan Beach builders. 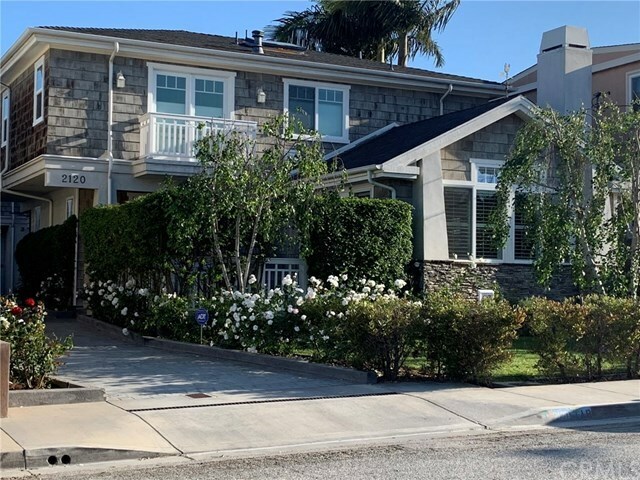 Adjacent to Manhattan Beach, two blocks from Anderson Park and minutes to beaches, Polliwog Park, popular dining/retail, and freeways, this coastal gem is move-in ready and guaranteed to provide an ideal lifestyle!